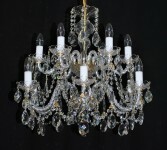 The glass crystal chandelier decorated with cut crystal almonds. 6+6 candle bulbs in two tiers of glass arms. The design glass crystal chandelier with 12 profiled twisted glass arms. 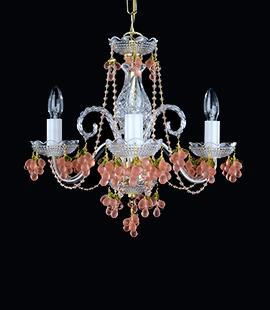 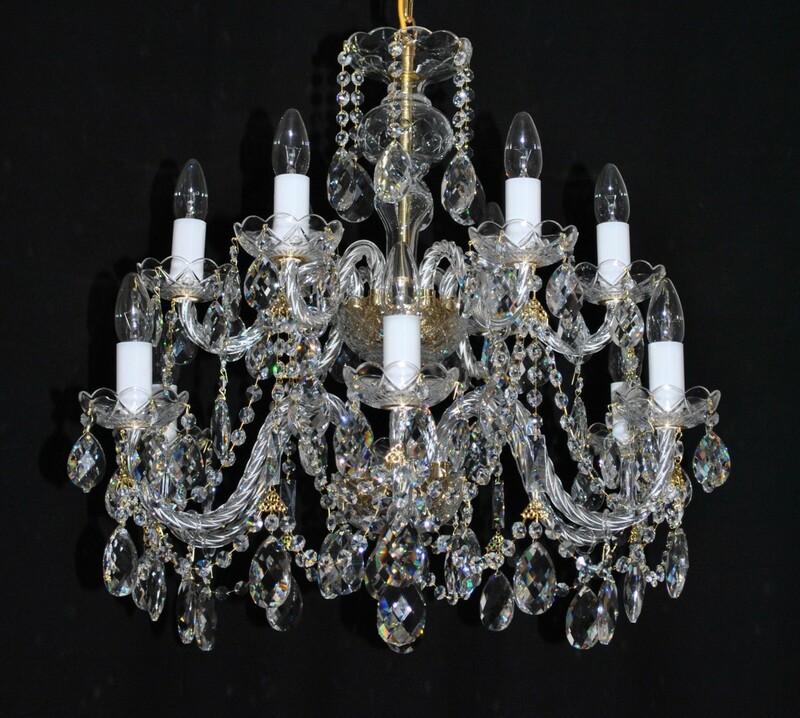 The body of the chandelier is made of hand blown and hand cat crystal glass. 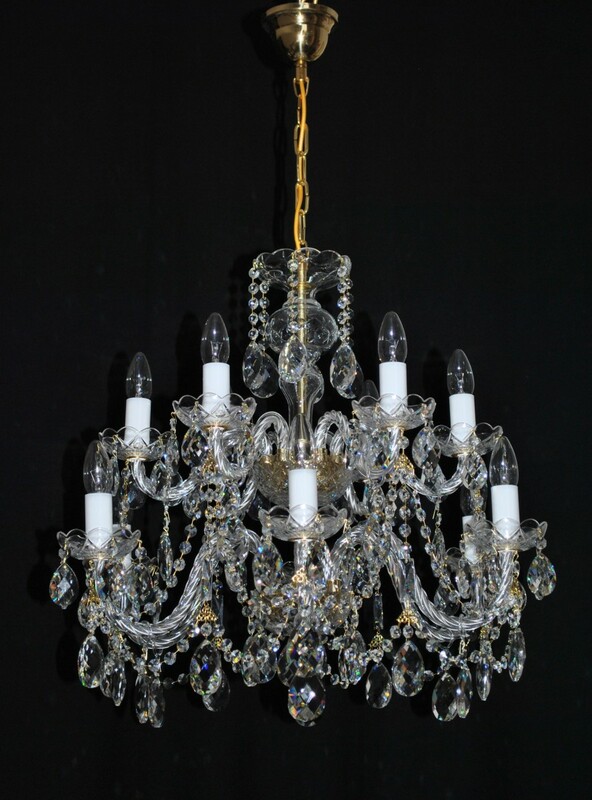 Dimensions (W x H): 70 x 59 cm/ 28.6"x24.1"